New Rochelle, NY, April 3, 2019-Researchers have identified a common mechanism implicating adenosine in the cause of restless leg syndrome (RLS) symptoms — the periodic limb movements characteristic of RLS and the state of enhanced arousal that both disrupt sleep. Preclinical findings in a rat model of RLS and clinical results in humans together suggest that targeting the pathogenetic downregulation of adenosine A1 receptor (A1R) may be a promising therapeutic strategy, according to an editorial published in Journal of Caffeine and Adenosine Research, a peer-reviewed journal from Mary Ann Liebert, Inc., publishers. 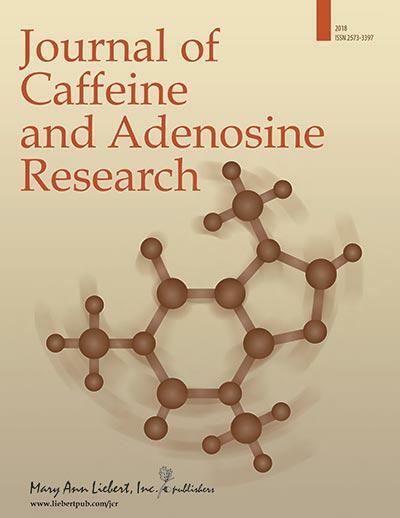 Click here to read the full-text article free on the Journal of Caffeine and Adenosine Research website until May 3, 2019. RLS is a common disorder, with about 5% of individuals in the U.S. and Europe reporting symptoms, as described in the article “The Adenosine Hypothesis of Restless Legs Syndrome”. More than one pathogenetic mechanism likely underlies the spinal cord-related and non-spinal cord-related aspects of the disorder, and researchers have long looked for a biochemical link that could serve as a new therapeutic target. A combination of preclinical and clinical findings has shown that brain iron deficiency (BID) is an early factor in the pathophysiology of RLS and that BID in rodents causes downregulation of A1Rs in the brain.